Design Frontiers is in full swing and no one’s installation is as immersive as Tord Boontje’s new collection of chandeliers and crystal lighting components, designed exclusively for Swarovski Crystal Palace. Now in his 15th year of collaboration with the brand, Boontje has worked with Swarovski on projects ranging from homeware to lighting and jewellery to installations. This year, they have teamed up again to produce Luminous Reflections, a collection of three crystal lighting components (Arc, Swirl, Circle)and four lighting designs (Luminous Bough, Lustrous Aura, Shimmering Jewel, Radiant Light). Nadja Swarovski, Member of the Executive Board, commented: “We are delighted to work once again with our long-time collaborator, Tord Boontje, on this incredible new collection for Swarovski Crystal Palace. 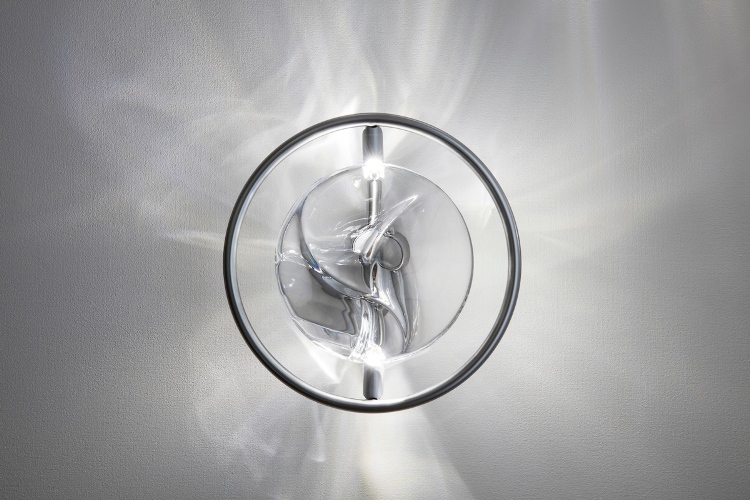 Its elegant, organic curves bring a fresh interpretation to the interplay of crystal and light." In the latest collection, Boontje has been inspired by water and liquid. This has resulted in Swarovski producing products that it has never made before. 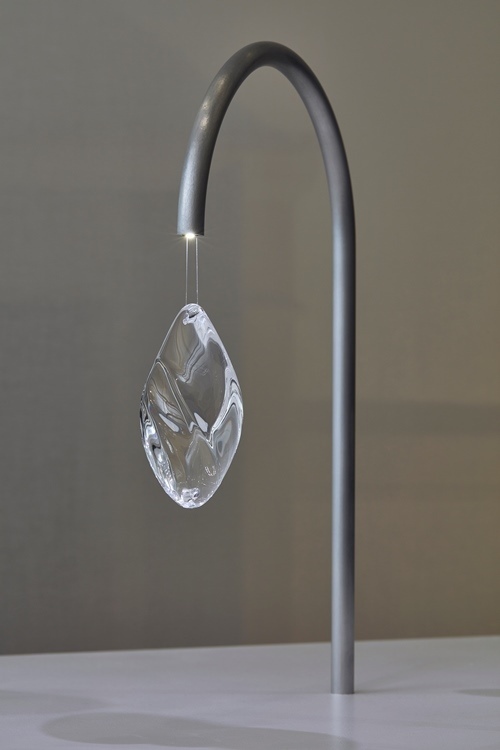 The three crystal components have innovative fluid and an unfaceted surface, unusual for Swarovski which is known for its precision cutting. The rippled surfaces are designed to mimic the reflections of sunlight on water. Tord Boontje commented: “For the first time I have had the opportunity to change the shape of the lighting crystals. I wanted a ‘soft light’ effect; the quality of light you see in a misty or snowy landscape or on a lake as dancing light reflections. 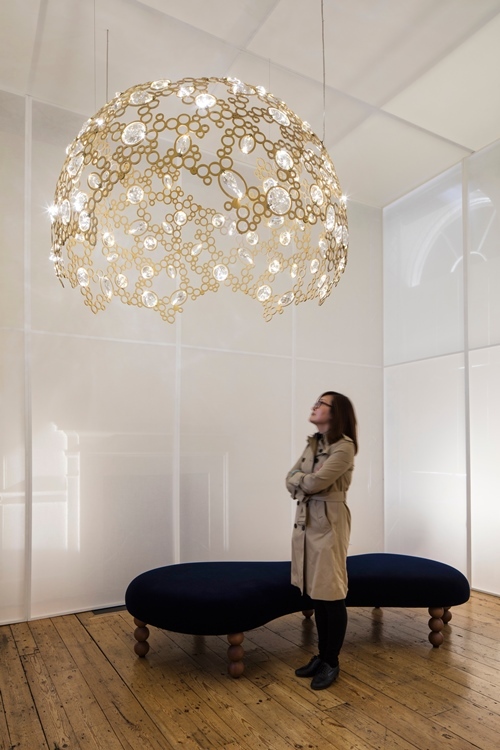 For me these chandeliers really celebrate an organic quality of light that crystal can create." The installation appeals to all the senses, air dispensers produce a calming aroma and the soundscape has been designed by innovative sound artist, Manaba Shimada. Music is played through a Yamaha background system and visitors can alter the composition by ‘tweeting’ using the hashtags, #crystal #light #reflection #water #swarovskicrystalpalace #tordboontje. Shimada has created a randomly-programmable software control, which responds in real time to tweets from anyone, anywhere in the world. Trigger words adjust the parameters for each individual track in real time. Visitors are able to create a completely unique backing track to the installation with a single tweet. Swarovski Crystal Palace began in 2002 as an experimental platform to provide lighting designers the opportunity to explore the boundaries of lighting design through cut crystal. Over the years many artists, designers and architects have taken part in the project including Zaha Hadid, Yves Behar, Tom Dixon, Ross Lovegrove and Arik Levy. The relaunched Swarovski Crystal Palace collections comprise 17 pieces by 5 designers, including Fredrikson Stallard, Tord Boontje, Yves Behar, Vincent Van Duysen and Diller Scofidio + Renfro and are available to purchase through the Swarovski sales teams and selected retailers globally. Design Frontiers is currently on at Somerset House and runs until 24 September 2017.